Add cool vector design elements to your digital artworks and print projects. 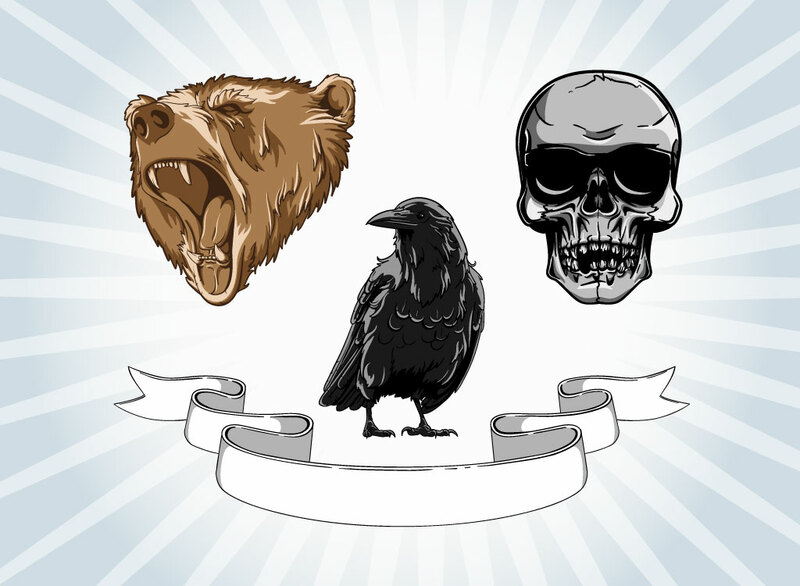 Download high quality vector set with comic style vector graphics featuring a skull with sunglasses, raven, ribbon banner and a ferocious grizzly bear roaring. The free stock images pack comes in AI and PDF vector art format with a blue and white gradient star burst background image. Must have stock cartoon footage for your gothic, wildlife and animals designs. Tags: Animals, Bear, Doom, Gothic, Grizzly, Horror, Raven, Roaring, Skull, Wild.